If there is one word that has defined social media the most over the last twelve months it is ‘influencer’. The whole Influencer marketing thing has become a major industry, and has seen it’s highs and lows all play out over a ridiculously short timeframe. Everyone wants to be an Influencer, because it simply means lucrative contracts that can allow you to make a living by endorsing stuff. But a recent backlash against the industry has made brands wary. It’s been a challenge to know that you are dealing with an actual real, live influencer, for one thing. And on top of that, there are seemingly too many of them to choose from. And then Facebook changed everything. To be honest, pretty much everything that Facebook does these days is focused on changing some aspect of the social media landscape. It also has a major PR drive since it was discovered to be connected to Cambridge Analytica. But it’s just done something that is actually very clever, if not a little cynical. It has made some quick moves to take a big slice of the Influencer market. And amazingly, it’s managed to make both Influencers and brands happy. The new Brands Collabs Manager (yes, they literally haven’t used the full word there) is on limited release at the moment in the US. But if it takes off and Facebook are happy with it, it could well be the biggest thing to hit social media for years. The premise is quite simple. Brands and ‘creatives’ (Influencers) will be able to use the Manager to find suitable partners for Influencer collaboration projects. The emphasis seems to be more heavy on the brand side, with brands being promised a few things that should tantalise any company that wants good, and honest, Influencer work done on their behalf. If you head on over to the special site that Facebook has put together for the Brands Collabs Manager, you’ll be given two options. One is to sign up as a creator, and the other is to sign up as a brand. What’s important about the site is that it offers benefits to both. It’s an attractive offering for Influencers, simply because any projects started with the service will have the weight of Facebook behind them. However, Facebook makes a big deal of the ability for Creators to be able to ‘showcase’ their work, alongside analytics that show the kind of reach and engagement the Influencers get. This is good in many ways. First of all, if you’re an Influencer with plenty of good work that you’re proud of, that will be shown to any brand who may be interested. It also brings up some transparency, and Facebook is all about transparency at the moment. To be able to see ‘real’ Follower counts and engagement data makes the whole thing safer for brands, and fairer for Influencers who have worked hard to get where they are. The best part for Creators is the opportunity to essentially ‘express an interest’ in working with brands. All Influencers will have to do (once they are part of the service, of course) is Like a brand’s page, and they will be shown as one of a ‘suggested’ list of Creators. There’s a positive story for brands to. A useful part of the service is the ability to analyse the audience and demographics of suggested Influencers (or, indeed, of Influencers brands search for). This is reassuring for brands, because they’ll get an instant look and understanding of whether or not an Influencer is good for them and their campaign. Brands can also identify Follower counts for the Influencers they are considering. This is an interesting situation, because in recent times brands were concerned that Follower counts meant nothing. Seeing the counts delivered by the platform itself is the height of ‘safe working’ with Influencers, and should prove to be a welcome prospect for any brand that is in need of reassurance. Again, there’s some extra positive stuff in there because Facebook will display the brands that the Influencer has worked with in the past. 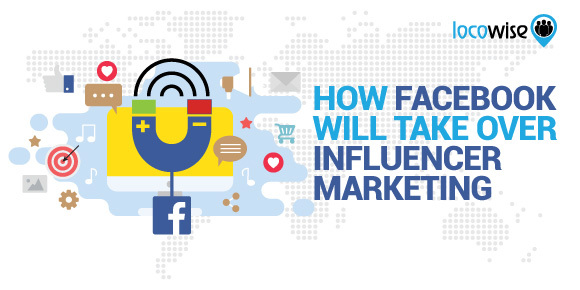 This makes a huge amount of sense, and positions Facebook as a welcome partner in Influencer marketing. In fact, it all does, and in that sense it’s a very clever move on the part of the company. By establishing itself as a partner, people will see Facebook as being transparent and committed to great Influencer work. However, as with most things Facebook, there’s money behind it all. The service is free to use. But that doesn’t mean Facebook won’t make money off it. Put it this way, if deals occur between an Influencer and a Brand, there is every chance that paid ads will develop. And that’s where Facebook will step in and take their cut. On top of all of that, don’t forget that Facebook also owns the hottest social media platform around at the moment. Instagram is a definite goldmine for Influencer partnerships, so the growth potential for Facebook is phenomenal. There has been plenty of activity around the problem of fake Followers and fake Influence. There is now an industry around the Influencer industry, one that strives to bring more transparency and fairness to the Influencer market. One firm, Upfluence, recently received $3.6 million in Series A investment. That’s a hefty amount of money, and shows that brands are serious enough about finding genuine Influencers that a whole industry can be built on the back of their concern. So this makes Influencer marketing a non-Wild West situation. There are companies out there (like Upfluence) that are making the landscape safer. And of course, on Facebook at least, there is an overwhelming presence that will keep things as transparent (and lucrative) as they can be. If you want some of the best social media analytics you have ever seen, head on over to Locowise. We’ll give you a free week of our analytics platform. It’s pretty darn special, and it has colourful graphs too.